Devil Claw, also called Devil’s Claw, is often sold as a treatment for various forms of arthritis, including gout. The herbal gout treatment is extracted from the secondary roots of the Devil’s Claw plant (Harpagophytum procumbens). As far as I can see, there have been no studies of Devil Claw & gout. However, a number of studies have looked at the anti-inflammatory properties. I have summarized 3 studies below. in humans, Devil’s Claw when used at the recommended dose would not be expected to show anti-arthritic activity. They did allow that investigation of much higher doses might show some benefit, but, as far as I can tell, no safety and efficacy studies have been carried out on very large doses. The purpose of these studies was to determine whether a prima facie case could be made for undertaking further studies in patients, including controlled studies. The results described provide little justification for such action, and the usefulness of devil’s claw as an anti-rheumatic agent remains unproved. These results indicate that Devil’s Claw lacks the anti-inflammatory properties possessed by all antiarthritic drugs of the nonsteroidal, anti-inflammatory analgesic type. You can see there is very little scientific support for Devil’s Claw as a treatment for gout. Questions remain as to whether there is a safe effective dose, but on the evidence to date, this appears unlikely. Better to focus on lowering uric acid with medical or natural treatments that have been proved to work. McLeod DW, Revell P, Robinson BV. Investigations of Harpagophytum procumbens (Devil’s Claw) in the treatment of experimental inflammation and arthritis in the rat [proceedings]. Br. J. Pharmacol. 1979;66(1):140P-141P. Grahame R, Robinson BV. Devils’s claw (Harpagophytum procumbens): pharmacological and clinical studies. Ann. Rheum. Dis. 1981;40(6):632. Whitehouse LW, Znamirowska M, Paul CJ. Devil’s Claw (Harpagophytum procumbens): no evidence for anti-inflammatory activity in the treatment of arthritic disease. Can Med Assoc J. 1983;129(3):249-251. 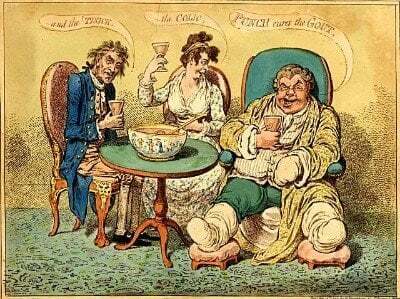 Related Gout Facts: Ann. Rheum. Dis.